Contact: 07974048616(text) not voice call(thank you) or email me if you like. Additional Info: I'm Deaf or disabled who love bassoon and got a bassoon outfit as well. I'm love playin PS3, chat friend on computer, I'm grade 7 on bassoon when stop playin in 2006. so I'm comin back to play a bassoon, love it! 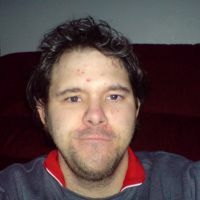 I live in Wigan, Lancashire in North west of England, UK I'm 33 years old and live with my mum and dad. My ex bassoon teacher is Sandra Downing, She is a professor of the bassoon.